Over the years some people have told that I am wrong to oppose Muslims serving in the US Military. Saying that they are serving our country. My response has been that besides the obvious threat of violence like the Fort Hood shooting, something even more insidious is happening. 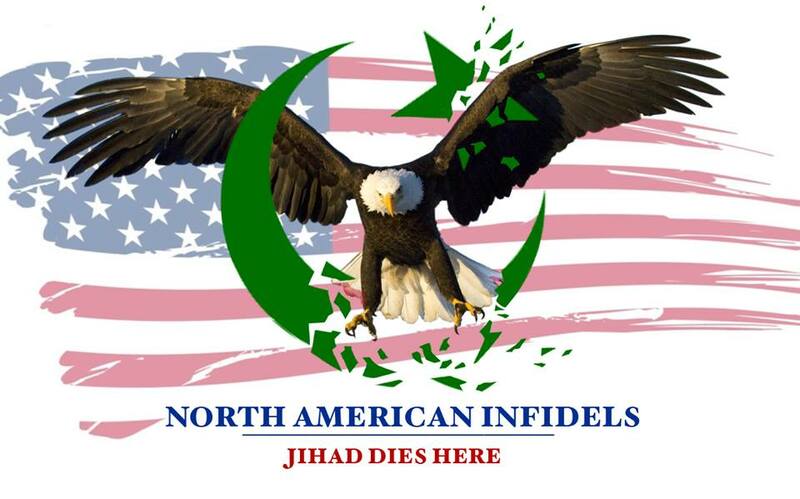 The Islamicification and normalization of Islam in the US Military. Which in the long run is a proven cultural suicide. Chaplain (Lt. Col.) Khallid Shabazz became the Army’s first division-level Muslim chaplain during a May 23 ceremony at the Lewis Main Chapel here. Shabazz became the 7th Infantry Division’s chaplain, succeeding Chaplain (Lt. Col.) Jimmy Nichols, who is headed to Fort Sill, Oklahoma, to be the installation chaplain there. Army Maj. Gen. Thomas S. James Jr., 7th Infantry Division commander, officiated at the ceremony and said the division is in good hands with Shabazz. The Army chief of chaplains selected Shabazz for the job in January based on his leadership qualities. He is charged with ensuring and supporting the free exercise of religion by service members, families and civilians. The only problem with that statement is that Islam does not support freedom of religion. Dominance by force if need be. Shabazz, who holds a doctorate degree as well as four master’s degrees, has dedicated his life to working with service members of all religions. He grew up as a Lutheran in Louisiana and converted to Islam while serving as an enlisted soldier. Yes there are sides here. 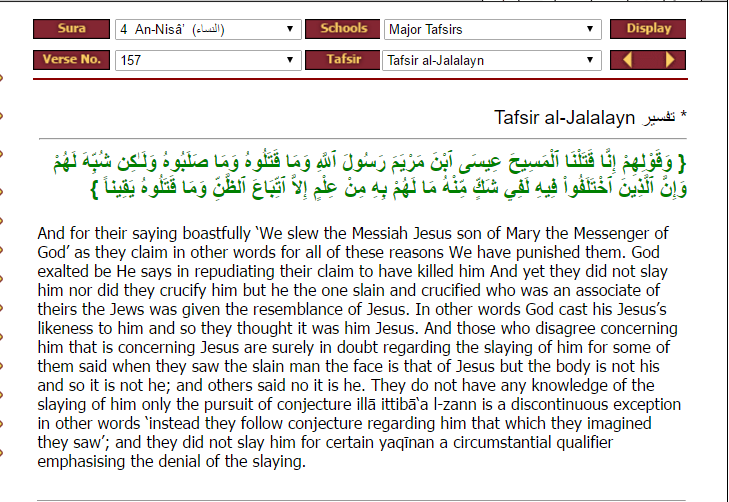 Because Islam clearly contradicts the message of Jesus. 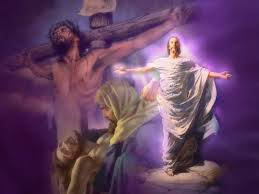 Even going as far to deny the crucifixion of Jesus. 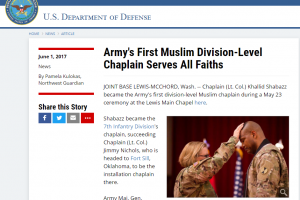 The concept of pluralism within the Army Chaplain Corps means that the service’s spiritual leaders support all religions. 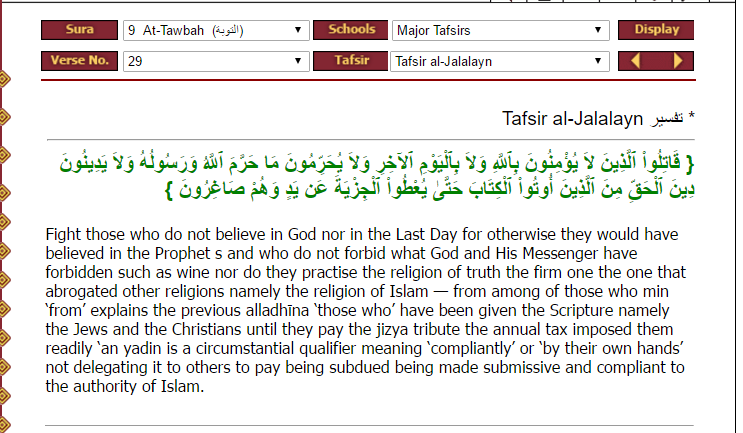 The Army does not endorse any religion or religious organizations. 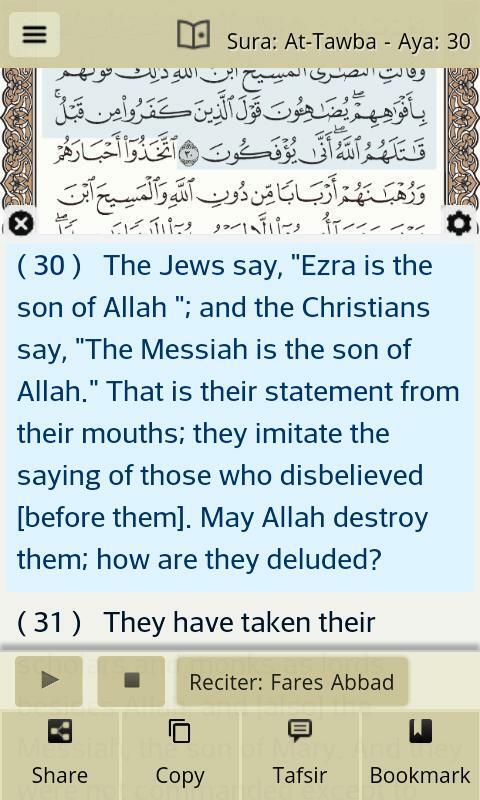 According to Koran verse 5:51 it does. Glover said he sometimes forgets Shabazz is Muslim, because the chaplain doesn’t push his religion. They found common ground in Army values and in their drive to be successful. Showing care and compassion while helping service members succeed is Shabazz’s specialty, said Army Sgt. Maj. Elian Strachan, the chief chaplain assistant at I Corps, where Shabazz served as deputy chaplain in his last pervious assignment. He has known Shabazz since the two were stationed together at Fort Hood, Texas, in 2014. During Shabazz’s career, he has traveled the world as a professional military religious advisor, leader and ethics instructor. Strachan said he excels at showing people how to get along regardless of their denomination. Actually, respecting the views of Islam does make you a bad Christian. Because Islam is out to destroy the message of Jesus. What has Shabazz so dangerously accomplished here? He has gotten non-Muslim US Military members to respect Islam. While creating the illusion of a peaceful coexistence with Islam. How is that thought process working out for Europe?? Who said this, to whom, when, why and what have we ever done about it? Would you consider this statement to be contrary to our Constitution, our way of life, a danger to our National/Homeland Security and the preservation of our Constitution? Would you think these are words of an enemy? Surely, both the House and Senate studied this but where are the reports? k.	“That he verily believed the Devil assisted his Countrymen, for they were almost always successful. Learn more about our enemies, the Muslim Brotherhood and Shariah/Islamic law! Read “SHARIAH – THE THREAT TO AMERICA – AN EXERCISE IN COMPETITIVE ANALYSIS REPORT OF TEAM B II”. Is our failure to know and understand our enemy is treason?